I have never had original receipts with a Devlin surprise egg! This egg was made by Stuart Devlin in 1976. 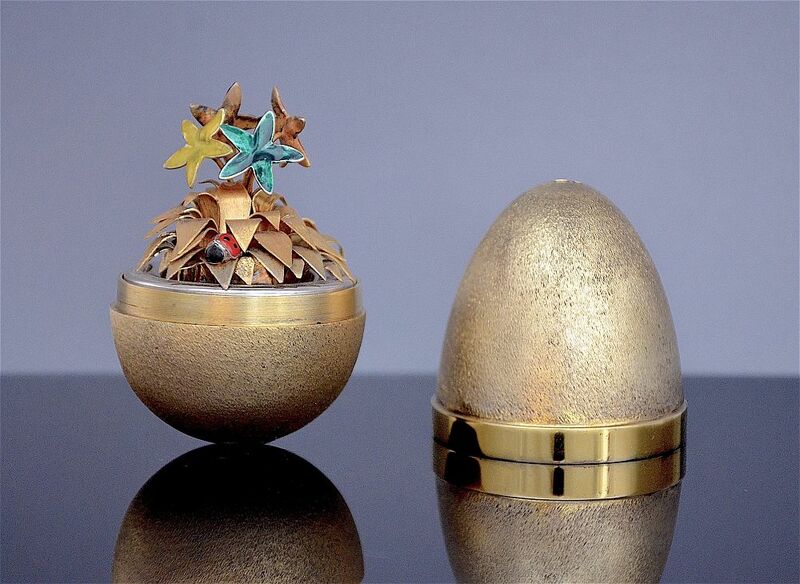 The egg has a gilded textured exterior and opens to reveal four gilded silver flowers enamelled in red blue yellow & green. These stand above a base of gilded leaves emerging from which is an enamelled ladybird. The ladybird is enamelled in red with black spots and white edging. 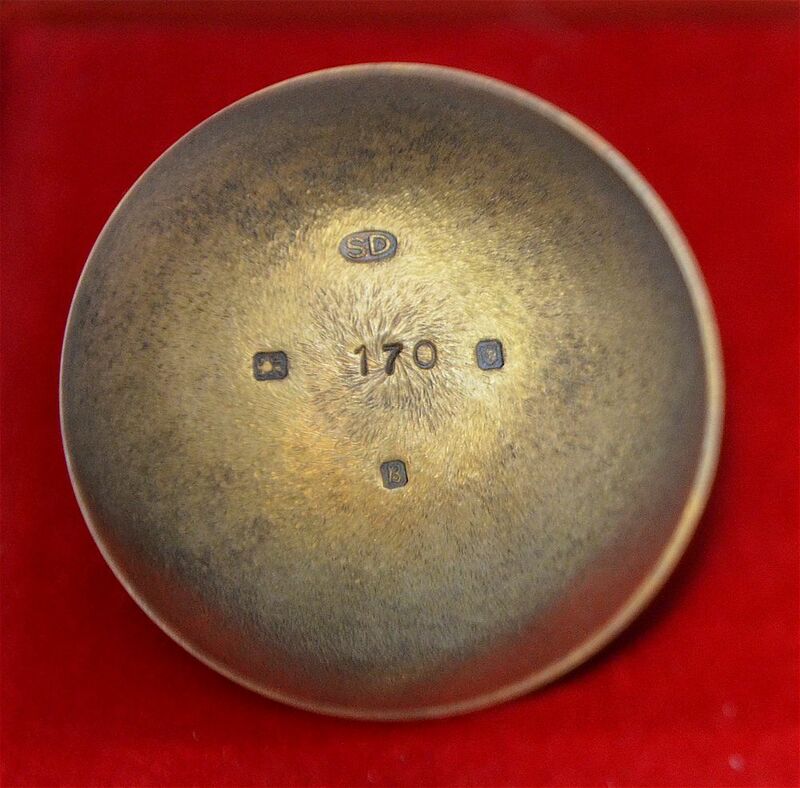 The egg is hallmarked by the London Assay Office for silver, 1976 and has the sponsor's mark "SD" for Stuart Devlin and is stamped "170" being its limited edition number. It is presented in a black hinged box with a red silk and velvet interior. The words "Designed and made by Stuart Devlin London" are printed in gold on the silk lining. 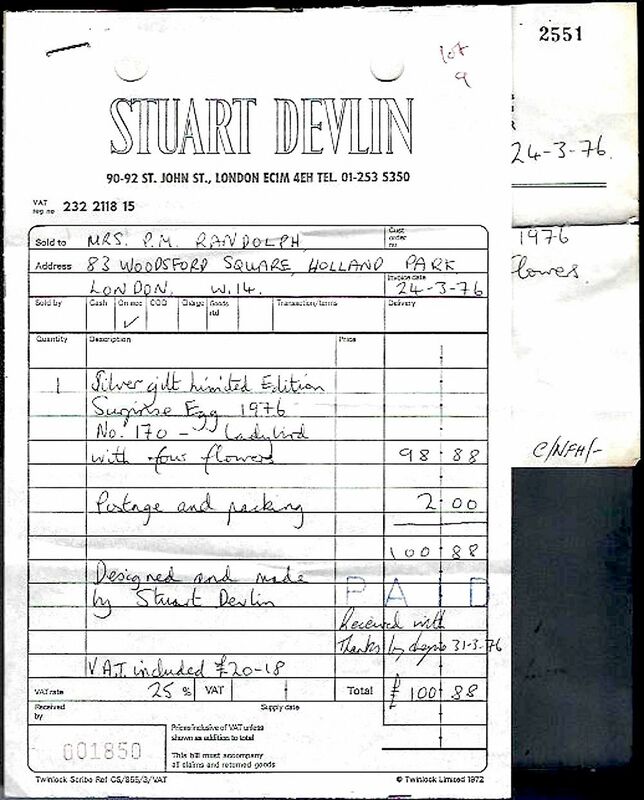 There is no certificate booklet but there are two receipts from Stuart Devlin's outlet both dated 24-3-76 addressed to the purchaser confirming that it is a "Limited Edition surprise egg 1976 No 170 ladybird with four flowers"